MontessoriX is a series of curated extracurricular classes for Montessori students. Courses vary by location. Little Geniuses is a chess-song singing, laughing, chess-tourney, dancing, chess clock-slapping, zany chess video, puppet show introduction to chess and being the smart kid in class. Children play chess for Mardi Gras beads, compete weekly for one of 20 brightly-colored silicone wristbands, and look forward each week to our 22 daily activities. Kids report Little Geniuses to be the favorite part of their week because kids love our developmentally-targeted, infectiously-fun thinking activities and find them compelling, exhilarating, and extremely gratifying. The nZone Junior Multisports Academy offers an introduction to multiple sports. The weekly class is 12 weeks in duration, focusing on a new sport every two weeks. Sports include Basketball, Flag Football, Kickball, Volleyball, Golf, and Tee Ball. Athletes will learn the basics of each sport and have time to play with their friends each session. This is also an opportunity for children to explore different sports before making a commitment to playing only one sport. Enrolled children for the 2:30 program will need to be picked up at 3:15 PM. This may change based on course enrollment. Lil’ Sluggers is an instructional baseball program that focuses on the fundamental skills needed to be successful in baseball, while creating a fun environment that will help your child foster a real love for the game. Basics such as throwing, catching, hitting and base-running are the core of the curriculum. Lil Sluggers builds confidence, while recognizing the importance of teamwork, cooperation, and helping others. We are also able to cater to different skill levels in our classes! Little Golden Stars offers a gymnastics and tumbling program, focused on building balance, agility, and body awareness. Classes will be equipped with fun and safe gymnastics equipment. Little Golden Stars Gymnastics is led by Mr. Sean Golden, a competitive gymnast who represented the United States at various international competitions. He has over 18 years of coaching experience and currently coaches competitive gymnastics in the Houston area. He is also safety certified under the governing body of gymnastics. Children learn basic soccer skills; character development; and coordination, balance and agility on the field. Students play fun games with an experienced coach and win fun prizes. This is ideal for students currently enrolled in soccer or wish to explore soccer further. This STEM (Science, Technology, Engineering, and Math) class, offered by Budding Engineers, provides an overview of diverse engineering fields, like robotics, structural engineering, electrical engineering, mechanical engineering, biomedical engineering, and more!The course work encourages creative thinking, teamwork, and problem solving.During the course, children engineer solutions to close to real life problems by analyzing, designing, building, testing, and redesigning. This course is offered by Ballet Center of Houston, which has trained dancers in Houston for over 22 years. Students are playfully introduced to French Ballet terminology, age-appropriate techniques and learn about motor skills, musicality and creative thinking. Student learning culminates in an annual performance for friends and family with the Ballet Center of Houston. The instructor is a former professional Ballerina with the Atlanta Ballet and Charleston Ballet Theatre. Your child could continue ballet training through 12th grade and beyond with Ballet Center of Houston. Enrolled children for the 2:30 program will need to be picked up at 3:15 PM. This may change based on course enrollment. All courses are on our campus. 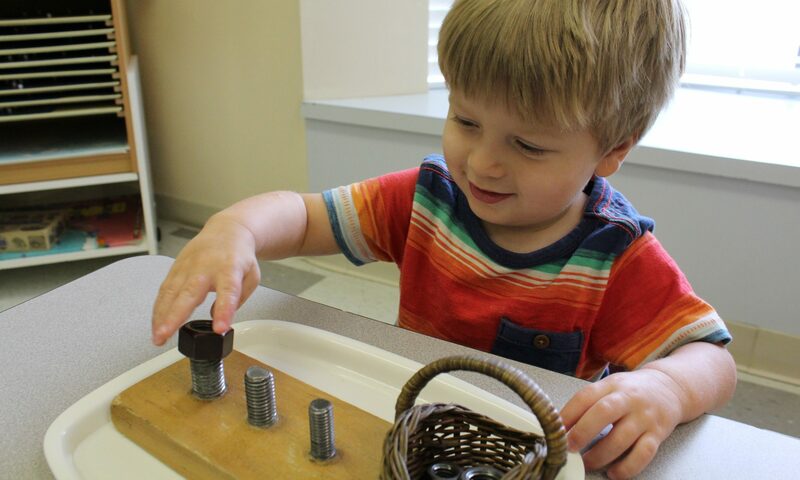 Registration, payment and scheduling are done with each partner separately – and not with Montessori Preschool. For logistics questions, the school may direct you to our Partner. Enrolled families can visit the Parent Portal to register.